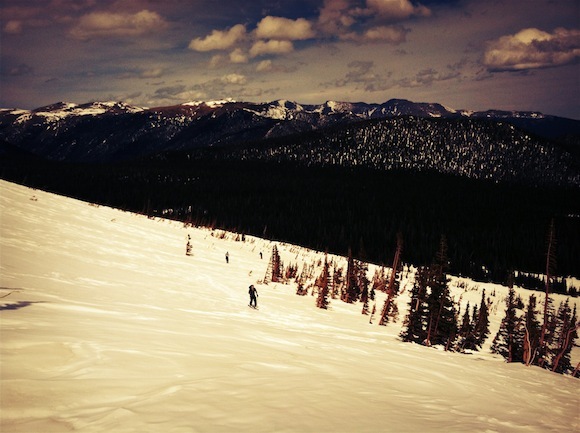 I’ve been getting tired of ski lifts lately, so I developed an itch to hit the backcountry. While I’ve known some of the technical book theory of winter backcountry travel and avalanches, I was missing the hands on experience. At the last minute I joined a program that Colorado Mountain School puts on each year in Estes Park and Rocky Mountain National Park. 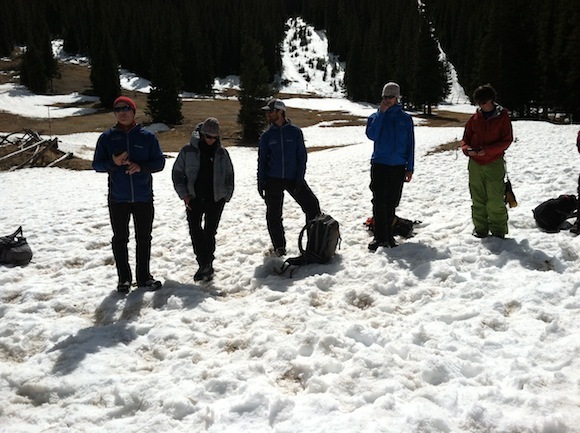 The intenses three day program includes classroom time before heading into the backcountry. If you’re in avalanche terrain and carrying a beacon, you need to know cell phones (and especially iPhones) interfere with the signal. That being the case, I had mine off during most of the tour so I don’t have many pictures to share. On day one we got into the backcountry for a primer on how the beacons work, then split into three groups to practice search and rescue scenarios. Our three guides are, from left to right, Mark, Rick, and Mark. There was no doubt they knew what they were doing and I had a lot to learn from each of them. Mark is walking around our group of 18 skiers, snowboarders, and mountaineers to check the operation of each of our beacons. 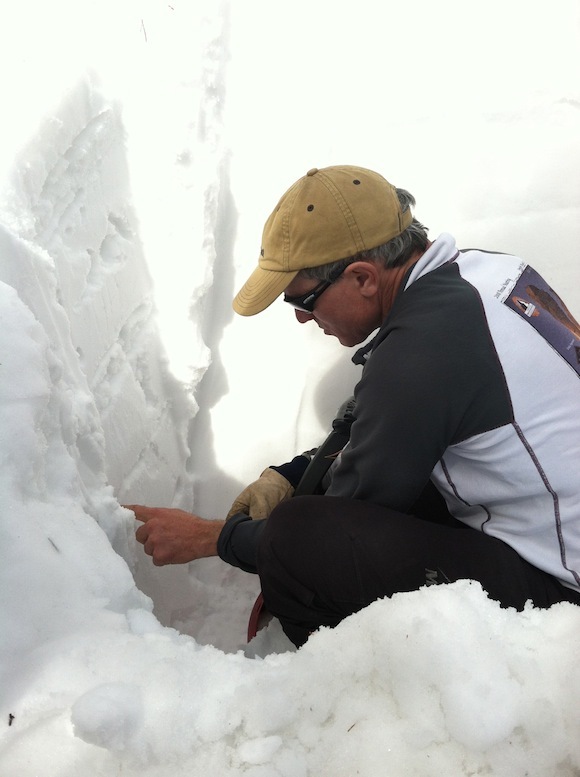 The basic test to know whether or not the backcountry is safe for travel is to dig a snow pit. 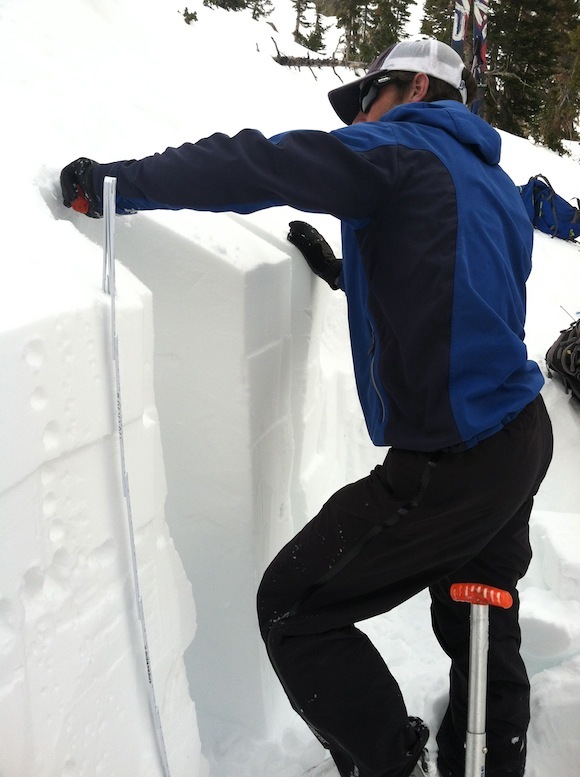 That involves probing the snow to determine depth and whether or not there are obstacles in the way. It’s important to understand this test is always done on slopes of little consequence. The last thing you want is to get caught in an avalanche while you’re testing for one. Mike is isolating a column to perform a test. The back must also be isolated from the hill to see how easy it is to trigger a slide. 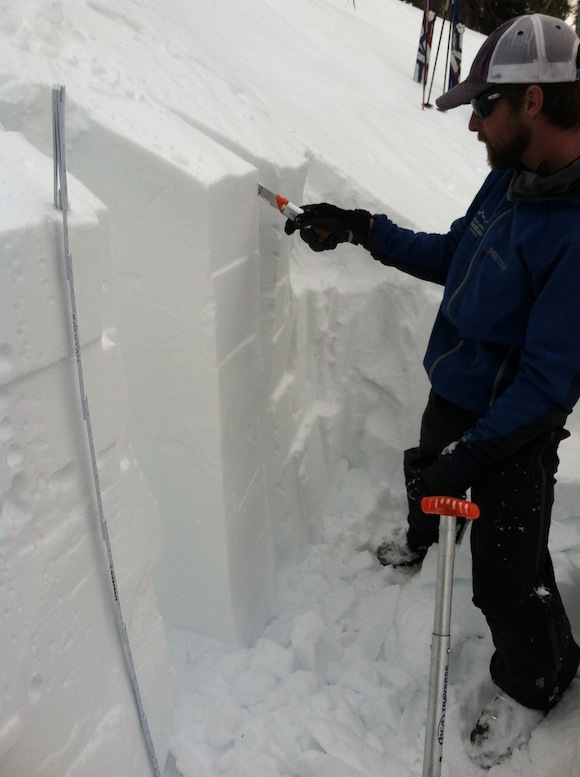 Here’s Mark pointing out the different layers in the snowpack. It’s getting late in an usually warm season, so the snow was already compacting quickly. The snow is pencil to finger hardness down to about 1.5 meters here. I dug four pits during those three days, and also located and dug out a lot of beacons to practice search and rescue techniques. That’s a lot of digging with a small, lightweight shovel that fits in a backpack. The last day was spent on skis and skins; the reason for the training in the first place. 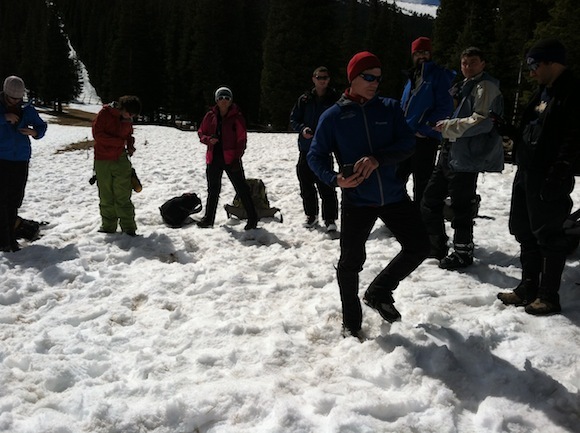 The CMS class teaches, not only avalanche awareness and rescue techniques, but how to plan, navigate, and travel through potential avalanche terrain. The snow was mostly poor, but made for great skinning and ultimately skiing in the trees. We’re staggering ourselves as we cross this avalanche path. Notice how many of the trees are missing branches on the same sides. If you need an avy course, I highly recommend CMS. The guys really know what they’re doing and they even make the classroom time tolerable for a bunch of outdoors guys.